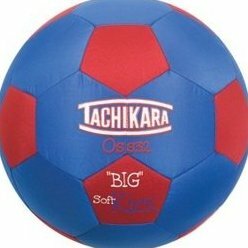 Larger and Softer, low-impact for younger age skills development. Foam-backed material is soft and comfortable to play with. Machine stitched construction. Butyl bladder.